What technology seems to get the most coverage these days (by a long shot)? It’s the Internet of Things (IoT), of course. Adding fuel to the fire is an announcement by Synopsys, who now offer a comprehensive portfolio of IP that’s optimized to address the security, wireless connectivity, energy-efficient, and sensor-processing requirements for IoT applications like wearables, smart appliances, metering, and wireless sensor networks. It’s pretty clear that re-purposing existing IP is neither efficient for particular tasks, nor is it sufficient for others. The IP should be re-architected and optimized to address the specific requirements for the IoT application at hand. Available now, Synopsys’ DesignWare IP portfolio for the IoT includes power- and area-efficient logic libraries, memory compilers, non-volatile memory, data converters, wired and wireless interface IP, security IP, ultra-low power processor cores, and an integrated sensor and control IP subsystem. 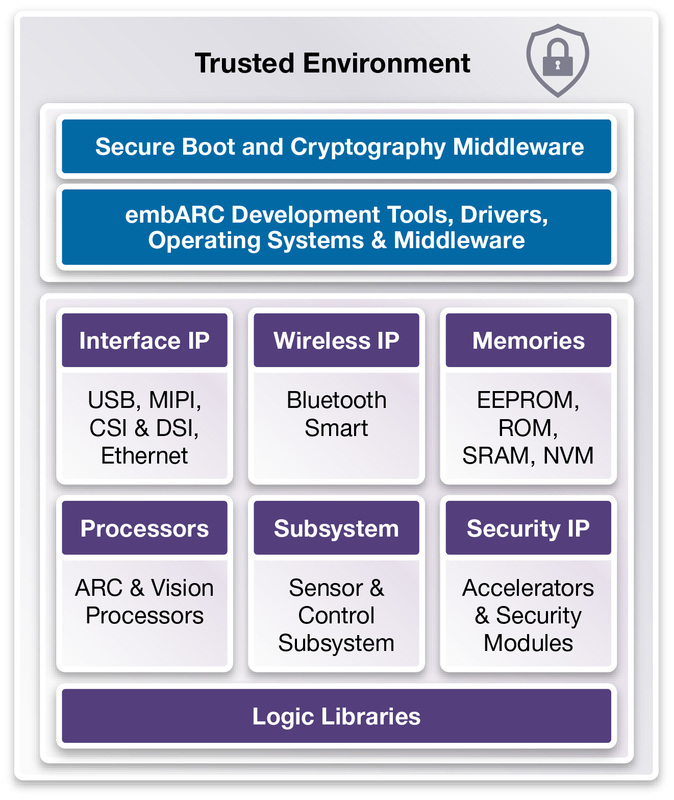 In addition, Synopsys’ embARC Open Software Platform offers online access to open-source and commercial drivers, operating systems, and middleware to accelerate development of application software. The high-density logic libraries reduce power consumption while thick oxide logic libraries deliver low leakage for always-on functions. This is key for things like wearable that tend to be just that – always on. In addition, power- and area-optimized 12-bit and 14-bit SAR data converters, USB 1.1 and 2.0, MIPI CSI-2 and DSI, and non-volatile-memory IP enable implementation of sensor, data and connectivity functions. Performance can be tweaked thanks to the company’s highly configurable 32-bit DesignWare ARC embedded processor cores. Other tools from Synopsys that can accelerate development include the MetaWare Development Toolkit and MQX RTOS. Support for the GNU tool chain and Linux kernel simplify the design process.